Take a close look at any major artist or groups live setup and you are likely to see a Nord Electro. This legendary keyboard has become an industry standard for serious players since since the Electro's inception back in 2001. The Electro is arguably one of the most popular electric keyboards on the planet, combining Nord's award-winning interpretations of vintage electro-mechanical and acoustic instruments with unparalleled portability, strength and quality. The 6D features a new and improved simplified user interface for a 3 part multi-timbral keyboard with organ, piano and sample synth capabilities. The 6D seamlessly transitions between its various sounds and programs mid-performance, reducing load times and keeping you on track when using the Electro for multiple sound applications during a single song. The updated interface is really simple to master, the 'Organize Mode' provides you with copy/paste and move options that allow you to arrange your programs in the order best suited to your requirements. Further program section updates include the new page view, that let you easily organize your pages into song lists, for super fast referral during live performances. 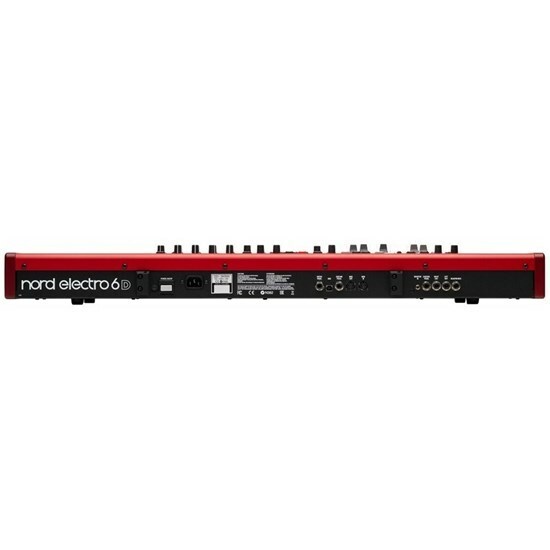 The Nord Electro 6D has a total of three independent sound sections, Organ, Piano and Sample Synth that are available to play simultaneously as a layer or a split. The 6D's updated layer and split function accommodate six split points with a new split point crossfader that allows for smooth transitions between two split zones, with an option of three different crossfade widths (indicated by the 6D's interfaces backlit LED's). The 6D's organ section features Nord's award-winning C2D organ simulations of the B3 Tonewheel, B3 Vintage and Bass Transistor Organs, plus two additional Pipe Organ models. The B3 Tonewheel simulation packs four different settings ranging from a fresh from the factory clean to leaky old vintage tone, all offering fantastic authenticity. The 6D's two Pipe Organ models include the brand new 'Pipe 1' that offers a pure organ tone with little harmonics and 'Pipe 2' which is an accurate emulation of the metal pipes that form the bedrock of classic pipe or church organs, now including a special detune mode when enabling Vibrato/Chorus. Over at the 6D's classic transistor organs, you will find impeccable simulations of the classic 1960's Farfisa Compact and Vox Continental models, with all of the original classic settings. Adding further character to the 6D organ section is the vintage 122 rotary speaker simulation that adds essential character and warmth to your tone featuring slow, fast and stop modes with an additional drive control. The 6D's new Dual Organ mode allows for quick access to dual organ setups, with an ideal overview and control over the drawbar setting for both the upper and lower manual. For truly passionate organ players, the 6D also offers Physical Drawbars, providing an unparalleled hands-on experience rarely seen in other organ simulators. The 6D's piano section packs 1GB of acoustic, electric and digital pianos from Nord's exclusive library of instruments. 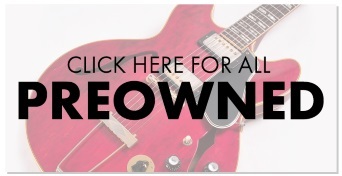 The Electro 6 factory bank boats a huge collection of instruments from Nord including their latest grands, electric pianos, uprights and digital pianos from their exclusive piano library. The new 'Layer' category is an additional section with rich dynamic layered patches that allow for some serious experimentation. The sampling technique that Nord have applied in their piano library is state-of-the-art, the source instruments' true character and subtle audible nuances are captured with the utmost detail, whilst the 'Advanced String Resonance' delivers breath-taking realism with an unparalleled level of expressiveness. Using the Nord sound manager, you can add or replace at will any featured piano from the sound bank, with a huge array of constantly updated exclusive Nord pianos available for free via their online library. The new piano section gives you further control over your tone and expression thanks to all new piano filters for accentuating softness, mid or brilliance. Furthermore, the piano section features four dynamic curves ranging from soft to hard and a soft-release mode that ads a marginally longer release suitable for legato playing, which emulates the looser damper tension found in various acoustic or electromechanical instruments. The Nord Sample Library 3.0 features an expanded memory and polyphony, with a wide-range of superb sounds such as the Mellotron and Chamberlin. Create and assign your own fully customizable samples using the free Nord Sample Editor software available for both Mac and Windows. The sampler section on the 6D also features essential controls for attack, decay/release and dynamics (filter/velocity). The final, but by no means least-pertinent of the 6D's sections, is the effects section. 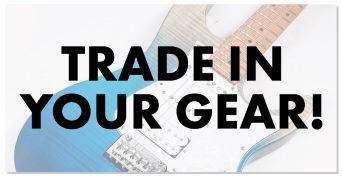 This impressive array of effects are all delivered in stereo and modelled after classic stompboxes, each is assignable to any one of the Organ, Piano or Synth sections. The effects are split across 6 different, accessible sections spanning nine knobs. 'Effects 1' covers Tremolo, two Wahs, an Auto-Wah and an AutoPan. 'Effect 2' packs two Phasers, two Choruses, a Flanger and a 'Vibe Effect' modelled on the classic analogue stomp boxes. Additionally, there is a 3-band equalizer with a sweepable mid, and a delay effect featuring tap tempo, feedback and ping pong controls. Finally, the reverb section boasts three differing reverb modes (Hall, Stage and Room), these work especially well with the synths in creating broad atmospheric and ambient sounds to layer atop of your organs and pianos, or simply play independently! Each reverb type can also be enhanced via a 'Bright Mode' that adds extra top end shimmer and clarity. The Nord Electro 6D 61's keys are semi-weighted organ-style keys featuring rounded 'Waterfall' tips, specifically modelled for rapid "organ shredding and synthesizer licks" as well as normal keyboard and piano playing styles. The Nord Electro 6D is incredibly lightweight considering the power available from it, weighing in a just 8.1 kg (17.85 lbs) its far from a behemoth to carry around making it a highly portable instrument. On stage, its modest size makes it compatible with most keyboard stands as well as Nord's own soft case series that allow you to carry the piano like a rucksack.